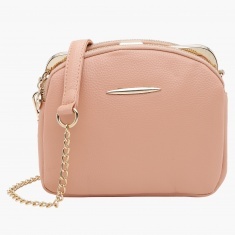 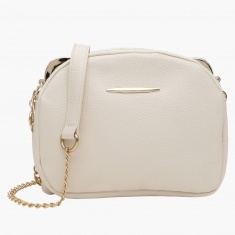 You will be party-ready when you have this small yet fashionable sling bag. 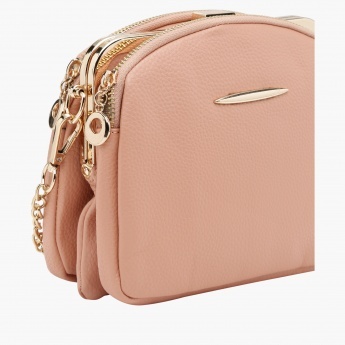 The metallic chain has a stylish appeal to it and matches the zippered closure and the metallic lock. 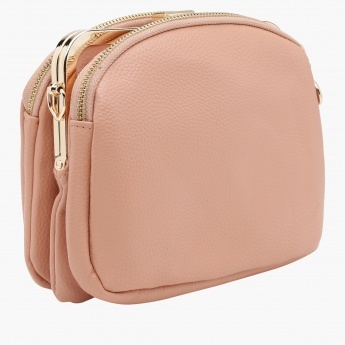 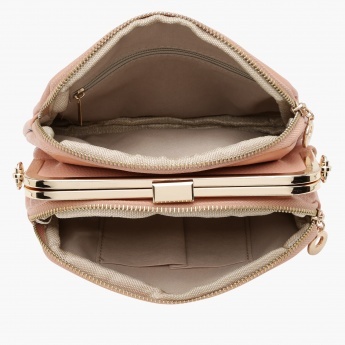 Three compartments are provided for you to fill the bag with your necessary accessories and belongings.